Since moving I have spent a lot of time organising and decluttering my products. In the process I finished off somethings and started testing out others and have discover a collection of products that I’m really enjoying. I’m not going to talk about cleansers in this post because I’m not exactly in love with the ones I’m using, but everything else just makes me excited to do my routine. 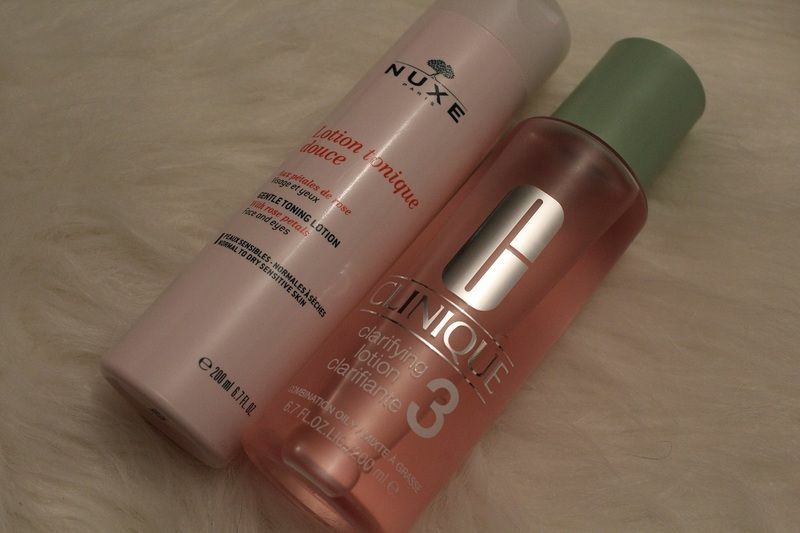 In the morning I like to keep everything gentle and moisturising, so I start with the Nuxe Gentle Toning Lotion*. It’s alcohol free and uses Damascus Rose water and Witch Hazel to soothe and purify the skin. In the evening I use Clinique Clarifying Lotion* which definitely a lot stronger. It uses Salicylic Acid to exfoliate and Witch Hazel to purify; which is perfect at the end of the day to make sure I’ve removed every bit of makeup. Over the last few years I’ve become a serum convert. I used to think they were just a gimmick, but if you’re using the one that’s right for you, you’ll see the difference. During the day I favour a serum with Hyaluronic acid, it helps keep my skin hydrated for longer which is a bonus for long wear foundation. 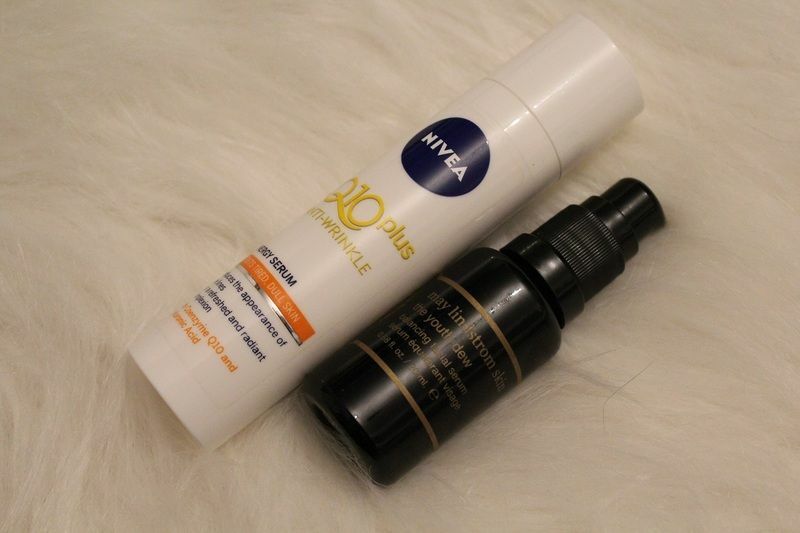 I’m currently finishing of the Nivea Energy Serum, which has sadly been discontinued but there are a lot of brands out there now that make serums with Hyaluronic acid in them. At night I like to go with a facial oil and I currently working my way through The Youth Dew from May Lindstrom Skin. I got this in a gift with purchase and I’m so happy I’ve had the chance to try it. It contains 20 different essential oils, each has their own little benefit for the skin and the scent is so uplifting that it puts me in a better mood when I apply it. But the hefty price tag will probably put me off ever purchasing it myself. Next up I go in with eye cream. I swear by the Hydraphase Intense Yeux* by La Roche Posay. It a Hyaluronic acid based eye gel which I use as an eye serum; and since taking this extra step I’ve seen a big improvement in how my concealer applies and lasts through out the day (I keep one in my kit, my clients love it). In the morning I top this with a light hydrating eye cream. 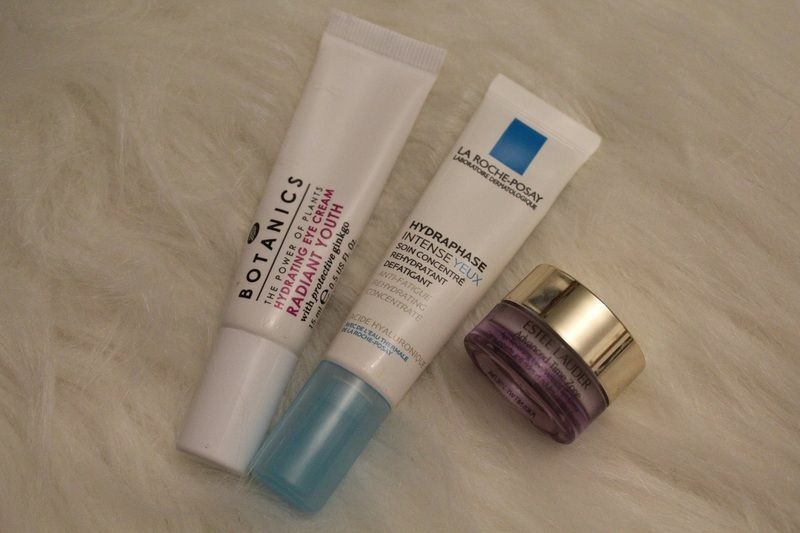 I’m currently using Botanics Radiant Youth Hydrating Eye Cream*. And at night I like something richer. I’m working through another sample of Estee Lauder’s Advanced Time Zone eye cream* which contain three type of Hyaluronic acid. Can you tell I like Hyaluronic acid. My morning moisturiser is a bit more than my usually. I’d mostly just use a simple, light moisturiser; but the Pure Vitality Skin Renewing Cream from Kiehls was worth the change (I can’t find this anywhere to link, it may have been discontinued *Sad Face*). Firstly it smells amazing but more importantly it has ingredients that smooth and firm the skin and improve elasticity. Very important when you skin is approaching 30. But at night I’m still just using a rich moisturiser. 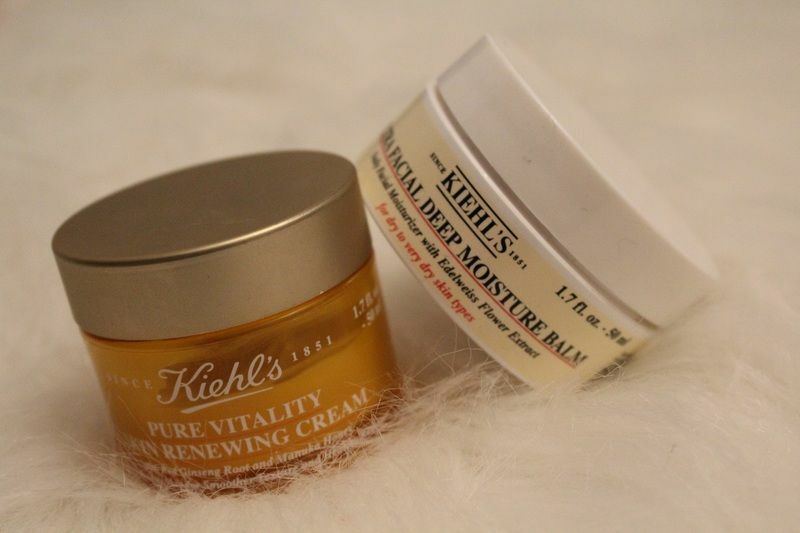 The Ultra Facial Deep Moisture Balm* from Kiehls is a product I didn’t like at first. I expected something rich and emollient that would take while to sink in to the skin, and that’s not what this is. This is both light weight and deeply hydrating, and it absorbs in to the skin in minutes. Perfect if your other half complains about the residue you skincare leaves on the pillow. Lastly we have lip care. My lips dry out and chap very easily in cold weather. On top of that I have a bad habit if picking my lip skin, to get over this habit I keep lip balm with me at all times. When I’m out and about I will use the Nuxe Reve de Miel*; it’s a thick balm that protects my lips from anything the atmosphere can throw at them. 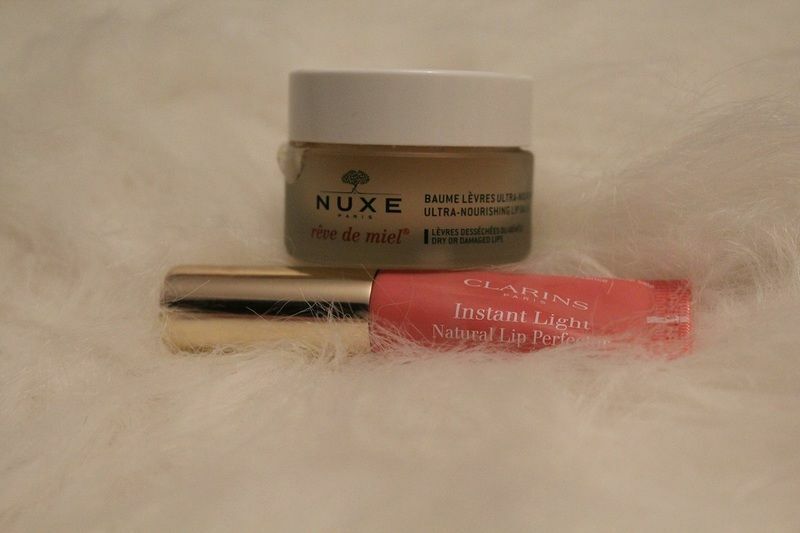 At home I like the Clarins Natural Light Lip Perfector*, this is much more light weight but still hydrating and isn’t absorbed too quickly. That ended up being a lot more wordy than I thought, but I really wanted to share these products with you guys. Together these product have left my skin in the best condition its been in months. Its hydrated and soft, my pores no longer look like gaping holes and my makeup goes on much smoother and wears better through out the day. 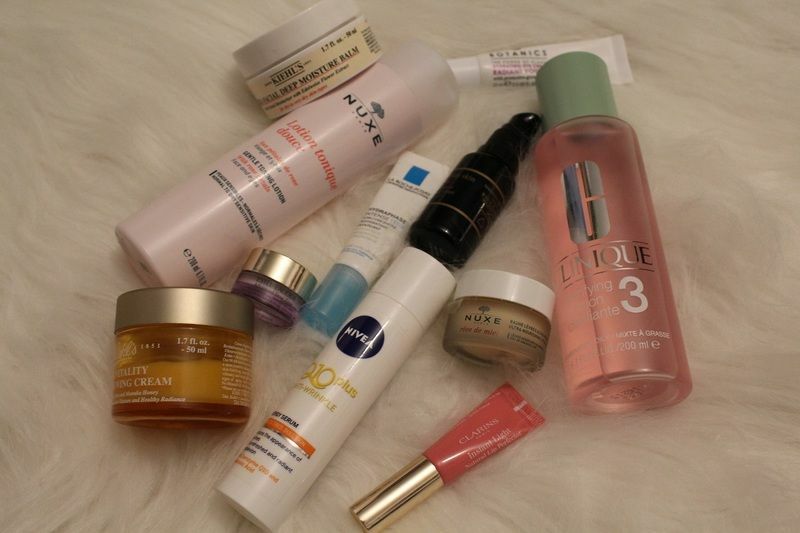 I have dehydrated skin, which is why I focus heavily on hydrating product; but I think getting adequate hydration is the best thing you can do for any skin type. Links marked with an asterisk (*) are affiliate links.